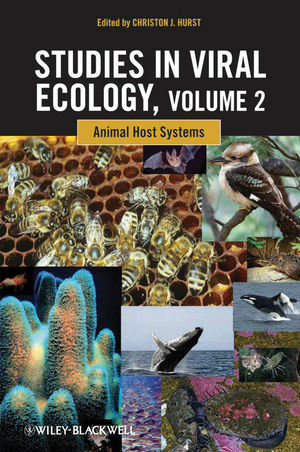 This book explains the ecology of viruses by examining their interactive dynamics with their hosting species (in this volume, in animals), including the types of transmission cycles that viruses have evolved encompassing principal and alternate hosts, vehicles and vectoring species. 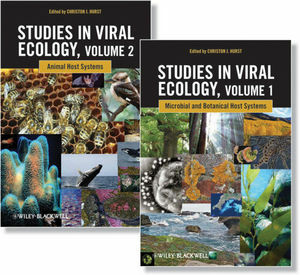 Examining virology from an organismal biology approach and focusing on the concept that viral infections represent areas of overlap in the ecologies of the involved species, Viral Ecology is essential for students and professionals who either may be non-virologists or virologists whose previous familiarity has been very specialized. ATTRIBUTION CREDITS FOR COVER AND SPINE ARTWORK. SECTION I AN INTRODUCTION TO THE STRUCTURE AND BEHAVIOR OF VIRUSES. 1 Defining the Ecology of Viruses (Christon J. Hurst). 2 An Introduction to Viral Taxonomy with Emphasis on Microbial and Botanical Hosts and the Proposal of Akamara, a Potential Domain for the Genomic Acellular Agents (Christon J. Hurst). 3 Virus Morphology, Replication, and Assembly (Debi P. Nayak). 4 The (Co)Evolutionary Ecology of Viruses (Michael J. Allen). SECTION II VIRUSES OF OTHER MICROORGANISMS. 5 Bacteriophage and Viral Ecology as Seen Through the Lens of Nucleic Acid Sequence Data (Eric Sakowski, William Kress, and K. Eric Wommack). 6 Viruses of Cyanobacteria (Lauren D. McDaniel). 7 Viruses of Eukaryotic Algae (William H. Wilson and Michael J. Allen). 8 Viruses of Seaweeds (Declan C. Schroeder). 9 The Ecology and Evolution of Fungal Viruses (Michael G. Milgroom and Bradley I. Hillman). 10 Prion Ecology (Reed B. Wickner). SECTION III VIRUSES OF MACROSCOPIC PLANTS. 11 Ecology of Plant Viruses, with Special Reference to Geminiviruses (Basavaprabhu L. Patil and Claude M. Fauquet). 12 Viroids and Viroid Diseases of Plants (Ricardo Flores, Francesco Di Serio, Beatriz Navarro, Nuria Duran-Vila, and Robert A. Owens). 2 An Introduction to Viral Taxonomy with Emphasis on Animal Hosts and the Proposal of Akamara, a Potential Domain for the Genomic Acellular Agents (Christon J. Hurst). SECTION II VIRUSES OF MACROSCOPIC ANIMALS. 5 Coral Viruses (William H. Wilson). 6 Viruses Infecting Marine Molluscs (Tristan Renault). 7 The Viral Ecology of Aquatic Crustaceans (Leigh Owens). 8 Viruses of Fish (Audun Helge Nerland, Aina-Cathrine Overgard, and Sonal Patel). 9 Ecology of Viruses Infecting Ectothermic Vertebrates—The Impact of Ranavirus Infections on Amphibians (V. Gregory Chinchar, Jacques Robert, and Andrew T. Storfer). 10 Viruses of Insects (Declan C. Schroeder). 11 Viruses of Terrestrial Mammals (Laura D. Kramer and Norma P. Tavakoli). 12 Viruses of Cetaceans (Marie-Franc¸oise Van Bressem and Juan A. Raga). 13 The Relationship Between Humans, Their Viruses, and Prions (Christon J. Hurst). 14 Ecology of Avian Viruses (Josanne H. Verhagen, Ron A.M. Fouchier, and Vincent J. Munster).